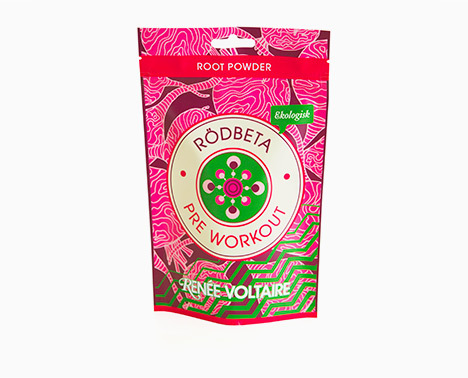 In today’s society, the rise of the health-conscious consumers is bringing about a spike in the sales of sports nutrition products. 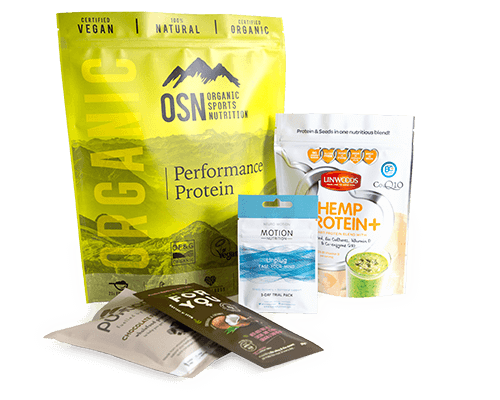 Forward-thinking brands are making waves in the sports nutrition industry with new flexible packaging solutions, a preferred choice by producers, packers and consumers alike. 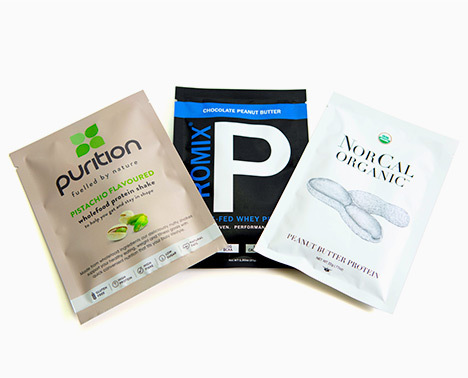 Manufacturers are finding that flexible packaging solutions such as stand up pouches and flat bottom bags provide more mass-market appeal than their traditional counterparts as flexible packaging offers a more convenient and cost saving solution with increased space for branding and quality barrier protection. Digital print technology is paving the way for innovation in this industry allowing manufacturers to introduce new products and product variations into the market quickly, efficiently and with minimal cost. Digital flexibles offer a quick and cost-effective route to market for new products and product development. With increasing competition in the sports nutrition market, it is essential that manufacturers can meet the product demands of their consumers in a timely manner and with minimal cost impact. 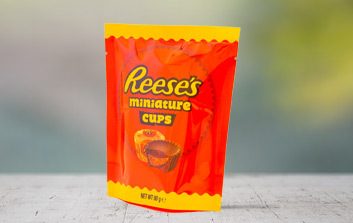 With typical pack sizes ranging from 250g upwards, flexible packaging formats such as the quad seal and flat bottom bag benefit from full height gussets and more durable seals allowing them to hold larger volumes of product while remaining visually appealing on the shelf. 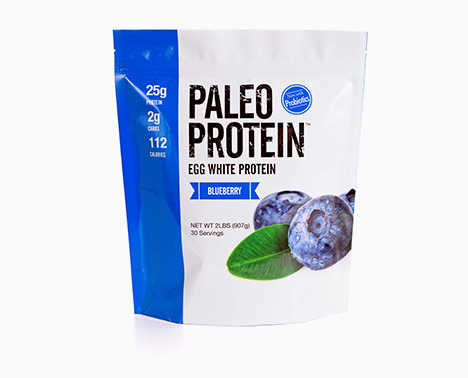 Flexible packaging is a differentiator in the sports nutrition industry. 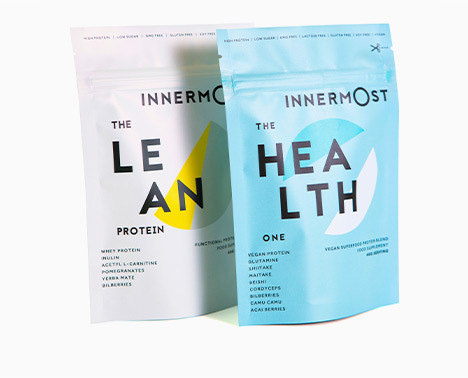 With a choice of material finishes and print technology, brands can benefit from eye catching visuals and larger surface area to promote the nutritional and health benefits of the product inside. The perfect packaging format for volumes of 1kg or less. 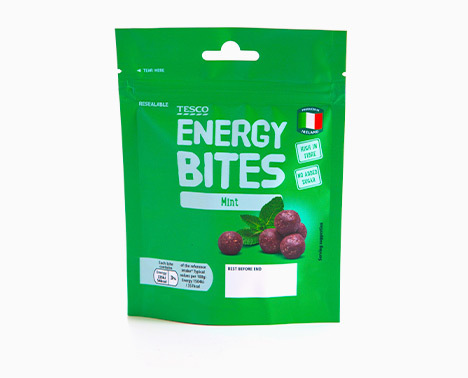 Commonly paired with resealable zipper, this format is a great solution for consumers who hold convenience in high regard. 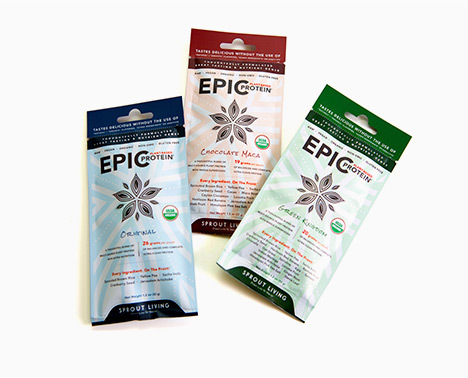 Stand up pouches protect and prolong your product, are easy to pack and display on store shelves. 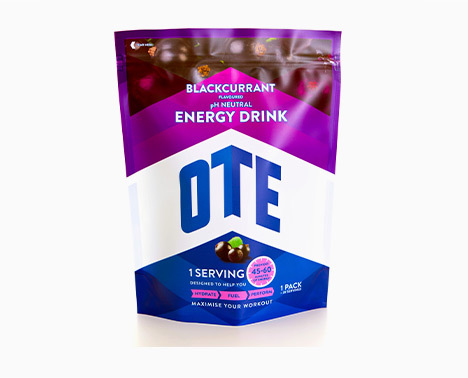 One of the most popular packaging formats, it’s prominent shelf presence and ability to stand unassisted while holding large volumes of product makes it the packaging choice for sports nutrition manufacturers. 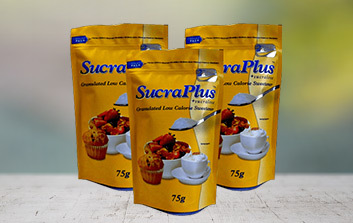 The flat bottom bags large area for graphics offers maximum shelf impact for the end user. 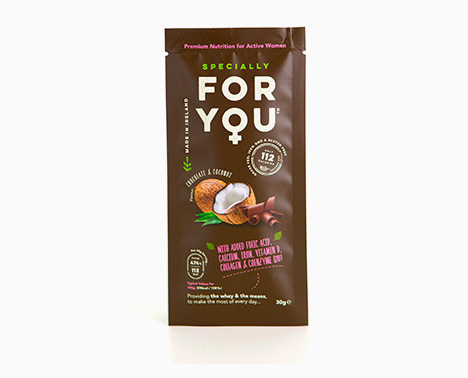 Perfect for packing protein bars, this versatile format can be filled and sealed in line using both vertical and horizontal form fill and seal machines. 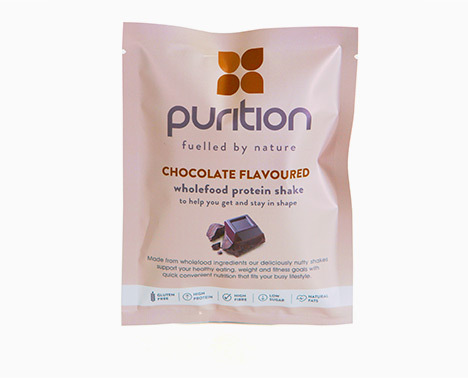 Available with a cold seal feature, this is the perfect format for packing sports nutrition products containing chocolate. By its nature, the 3-side seal is an extremely adaptable format. 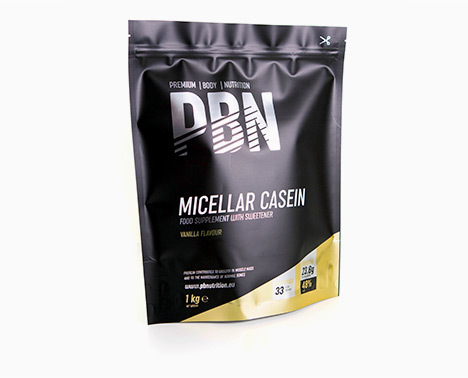 This is the perfect solution for packing single serve or tester size sports nutrition products. Add a euroslot to your pack design and market to shoppers at the point of sale through merchandising displays.